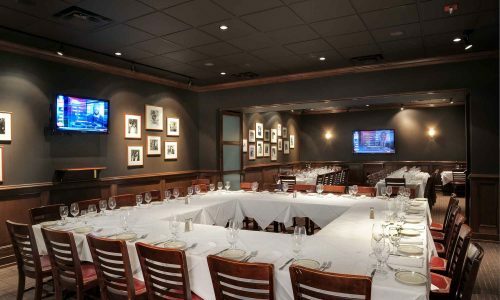 Richardson’s leading prime steakhouse, seafood, and lobster restaurant provides an intimate, modern, and inviting setting with private dining rooms perfect for large groups, business dinners, wedding events, and special occasions. Located on George Bush Turnpike near I-75 adjacent to Cityline. The restaurant also houses an exquisite wine cellar containing a world-class collection of over 2,000 meticulously selected wines.